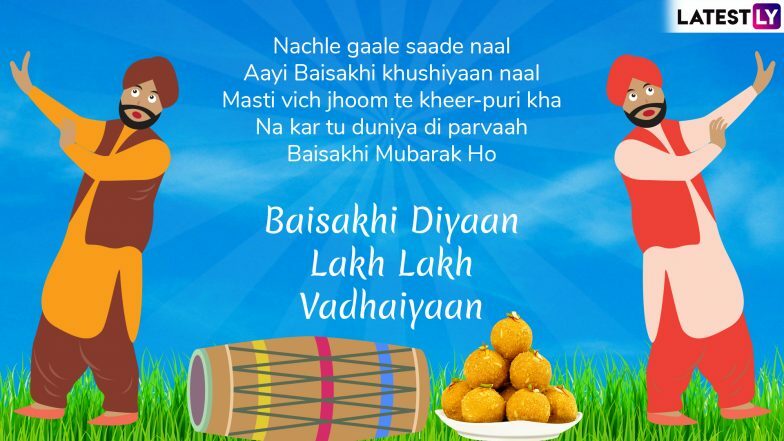 Baisakhi 2019 is being celebrated on April 14 across the country. The festival of Vaisakhi is celebrated with great fervour in the northern Indian state of Punjab. 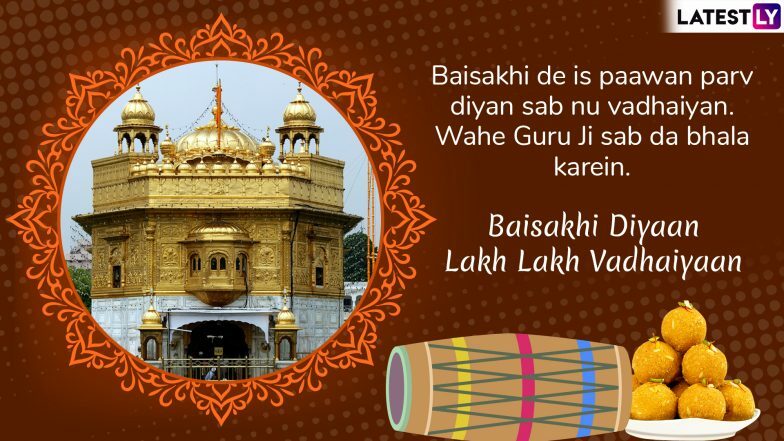 It is called by several names in the state like Baisakhi, Vaisakhi and Visakhi. The festival is celebrated by both Hindu and Sikh communities in Punjab as it marks the Sikh New Year as well as the Harvest Festival. 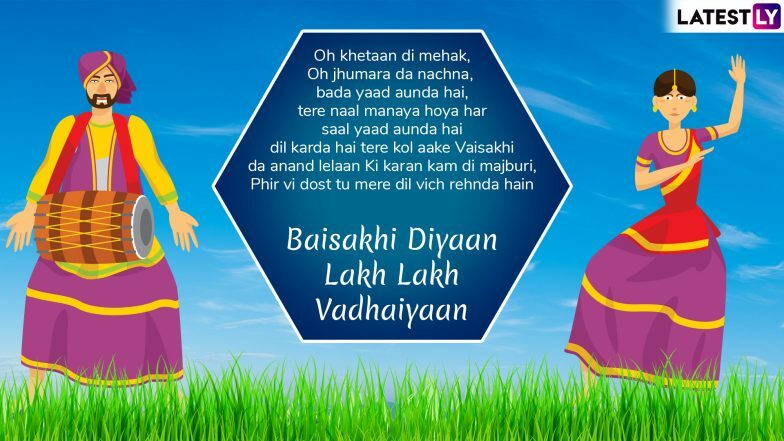 In Punjab, people greet each other with Punjabi wishes like "Baisakhi di lakh lakh vadhaai". 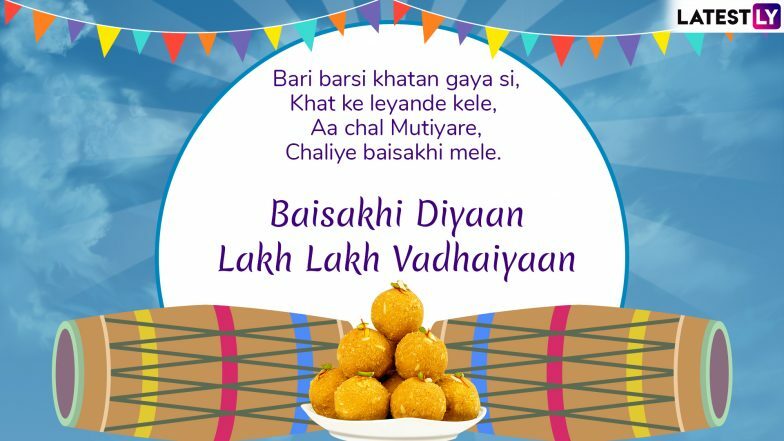 People also share messages, images, wallpapers of Punjabi wishes on WhatsApp, wishing each other Happy Baisakhi. 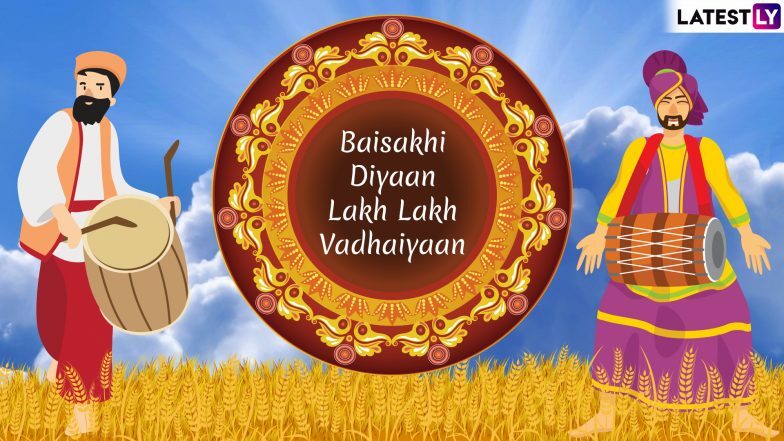 Baisakhi 2019 Date, History And Significance: How The Harvest Festival Vaisakhi And Sikh New Year Is Celebrated In Punjab. It is believed that on the day of Baisakhi Guru Gobind Singh, the tenth Sikh guru, established the Khalsa panth in 1699. The day also marks the time for the harvest of Rabi Crops and is celebrated with great fervour in Punjab as the state has a huge number of farmers. The people of Punjab sing traditional songs on this day and participate in the traditional folk dance, Bhangra or Giddha. They also eat delicious Punjabi dishes like kheer and puri. 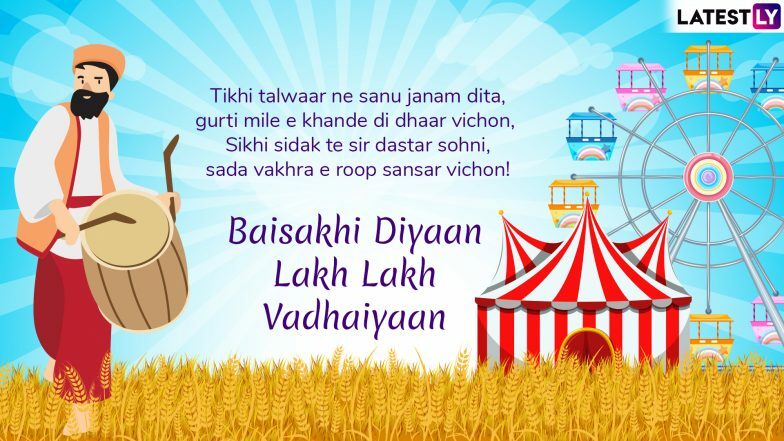 Here are Baisakhi wishes in messages in Punjabi that you can share with your loved ones to wish them on the festival. Baisakhi 2019: From Alia Bhatt to Sara Ali Khan, Take Some Essential Styling Cues to Dress Up this Festive Season - View Pics.